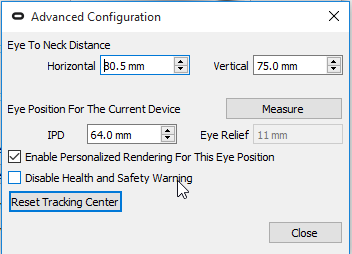 Disabling the Oculus Health and Safety Warning screen is no longer possible with the new Oculus 1.3 runtime (both CV1 and DK2). I will update this page if there is a way found to do it. In the meantime you can monitor this forum thread. 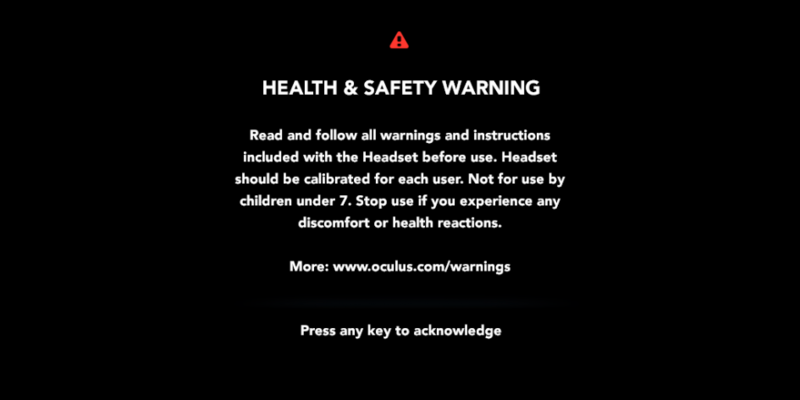 The Health & Safety Warning can still be disabled in the Oculus 0.8 Runtime. The approach from previous SDK’s still works. This is what it should look like (yes, it is a string not a dword!). Once set, now open the Oculus Configuration Utility (from the system tray), and open the Advanced button at the bottom (below user height).